Finding groundwater could be easy. Finding enough is harder. 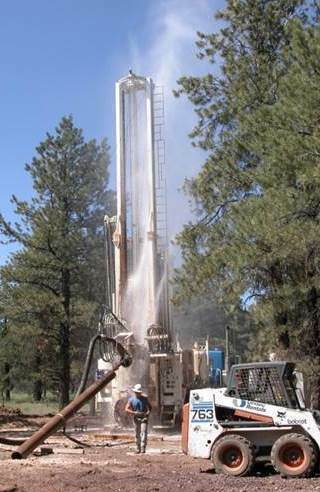 The goal of a well-designed, groundwater exploration survey using geophysics is not just to find water, but to identify drill locations with the most potential for optimal production rates at the onset of the project. Economic development is often constrained by available water while water wells worldwide are becoming increasingly deeper. Drilling without adequate information about what is below ground can quickly become extremely costly and inefficient. Once the depth to the water table is known, drilling to that depth from almost any location in the target area will encounter some amount of water. The challenge is finding the quality and quantity of water necessary for development while making the best use of investment and drilling dollars. Ground permeability determines flow rates. Geophysics groundwater exploration surveys focus on identifying zones of permeability that feed the water flow and thus can produce better GPM rates. Survey methods may be combined to provide a more detailed picture. 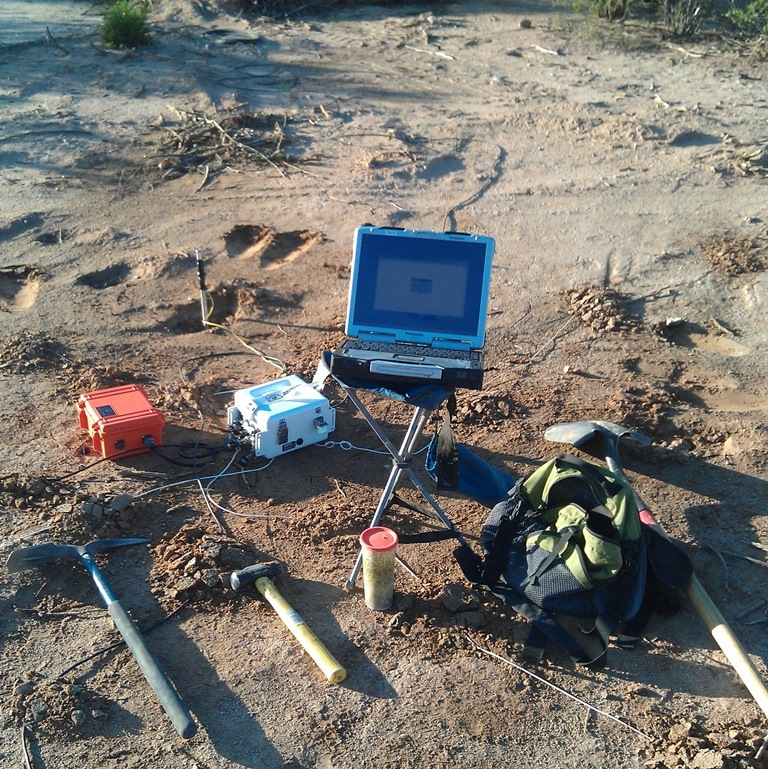 Zonge performs frequent CSAMT surveys for groundwater investigations. 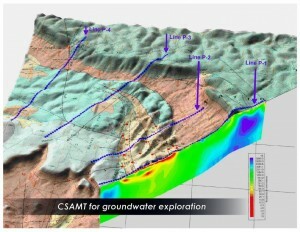 An EM sounding technique, CSAMT involves collecting measurements along lines of stations to calculate the resistivity of the earth. Resistivity is an indicator of permeability. Geologic structure constrains and determines flow direction. Resistivity values relate to geology — fractures, rock porosity, pore fluids, and the presence of certain minerals. 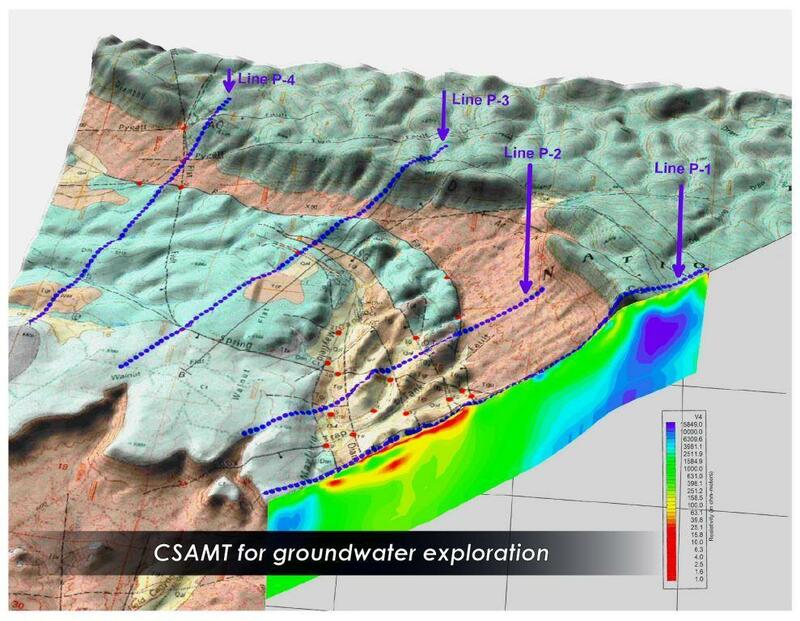 Thus resistivity data from CSAMT surveys provide critical information about geologic structure and lateral trends, but require interpretation relative to groundwater targets. There is no specific, fixed resistivity value that indicates water. In some environments, the high resistivity features may represent the best target for groundwater production, while in others, it is the low resistivity features. 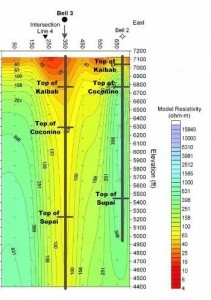 Image: Resistivity data identified a fracture for siting the “Bell 3” well. the regional geologic trend responsible for two radically different drilling results between monitoring wells. 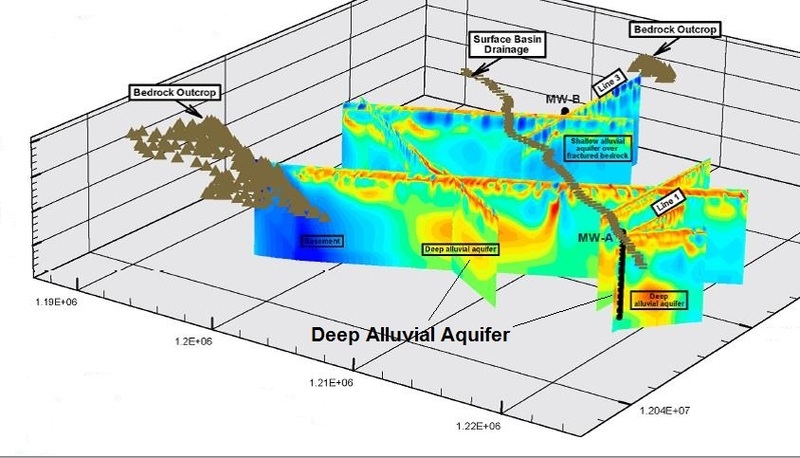 Monitor Well A encountered over 2400 feet of alluvial sediments and has flow rates over 100 GPM. 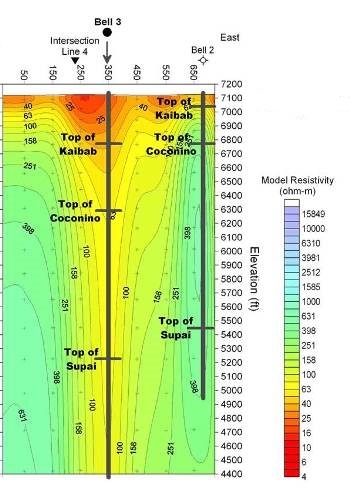 A deep, low-resistivity anomaly in the mapped data correlates with this drill location. Monitor Well B several miles to the northwest encountered fractured bedrock at 600 feet.